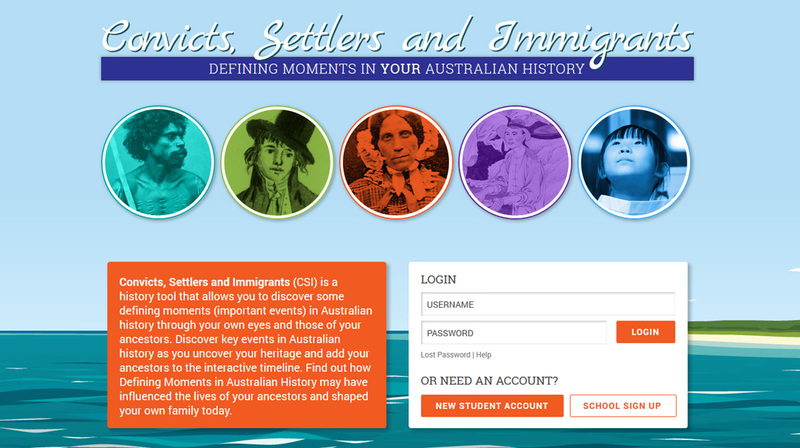 Convicts, Settlers and Immigrants (CSI) is a history tool that allows you to discover some defining moments (important events) in Australian history through your own eyes and those of your ancestors. Discover key events in Australian history as you uncover your heritage and add your ancestors and key family events to the interactive timeline database. 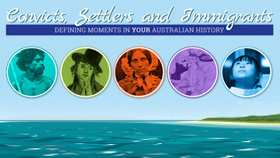 Find out how Defining Moments in Australian History may have influenced the lives of your ancestors and shaped your own family today.